Multi Shelter Solutions | Manufacturing & distributing economical shelters for all your growing, housing and storage requirements. 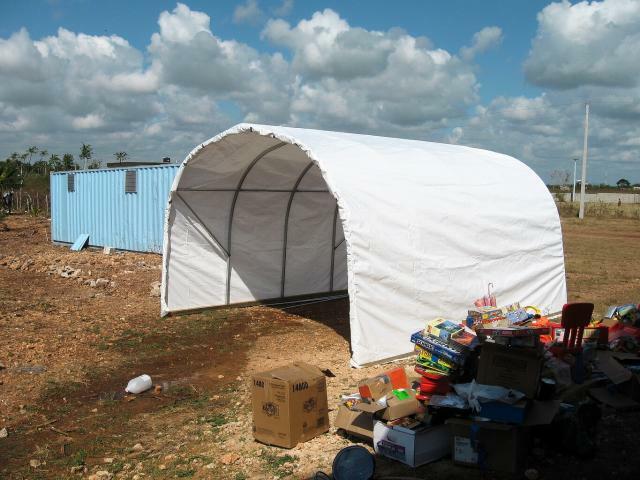 Multi Shelter Solutions tries to give back in many ways to the community, locally and beyond. We have done projects with Friends of the Orphans in Haiti and Food Bank projects out on the east coast, as well as many local projects here in Ontario in rural native communities and combined with food banks and other breakfast club initiatives. This is something we believe whole heartedly in and would very much like to do more of. If you know of a project that could use our help, or are involved with something you’d like to see us put some help behind, please don’t hesitate to contact us and let us know about it. This is an ongoing initiative of Multi Shelter Solutions, and as a company, and all our staff, would love to see this continue. Please join us in taking some time to give back, and Pay It Forward. A little smile goes a long way. We’ve had a number of requests from people very green to the process of purchasing structures asking “where do I start?” So we’ve made this check list and supplements to help you out with that! All the information can be found on our website as well, through the links below or the search field on the top left corner of the site. We are also here to answer any questions you may have. We look forward to your call! You can download our General Information Brochure to get you started! We’ve also made a Glossary of terms and other starting points in our installation guide. All of which can help familiarize you with items new to you. Norm’s speech & video Greenhouses 101 is also a good starting point, whether you’re building a greenhouse, storage or any structure that you have in mind. Recently we have published a book full of information about the planning process “So You Want to Buy a Greenhouse: Your Guide to Planning a Greenhouse Purchase” is available on Amazon, or you can call the office or email multisheltersales@gmail.com to order your copy. 1. Pick a Location: Your building must be level from side to side. If you can’t excavate we can design a variation. End to end slope is ok but if it is more then 1%, we need to know. If you are butting against a building, there may need to be some extra hoops in the first 12’ of length. Building behind something does not provide shelter. You actually increase wind turbulence. 2. Pick a width: Most of our standard widths can easily be modified if it needs to be specific. The widest we do with engineered drawings is 30’ but have supplied up to 36’ wide. 3. Pick a length: Any length is possible; simply by adding hoops If you are building between 2 fixed points, the last hoop spacing can be modified to fit the spot. 4. Pick a height: We have 7 lengths of steel to pick from and do not bend anything until we get an order. Building higher will improve the snow shedding characteristics of the building. Building higher gives more interior space close to the wall but the structure catches more wind. Since building higher catches more wind, the structure may require reduced hoop spacing. Building higher will be a little more costly to heat but does improve natural air circulation. Building lower will decrease snow shedding and may required closer hoop spacing. 5. Pick a base or foundation: The standard package comes with a Base Brackets under each hoop to secure the building to a beam. This beam can be ground mounted or on blocks, posts, slab or shipping containers. We can supply a welded steel base rail if the structure needs to be moveable. We can supply Anchor Posts. Each hoop would sit on a post that may need to be set into concrete. Please remember that there simply is no such thing as too many anchors. 8. Building ends: Our package prices include covers for both ends. The assembly guide gives pointers on framing Ends We can supply steel frame ends, with or without a variety of sizes and types of doors. Posted on March 28, 2019 by multisheltersolutions | Comments Off on Who is Multi Shelter Solutions?